Prototyping, manufacturing and dismantling techniques for next generation of lithium-ion battery systems. The objective of the GHOST project is to develop InteGrated and PHysically Optimised Battery System for Plug-in Vehicles Technologies. 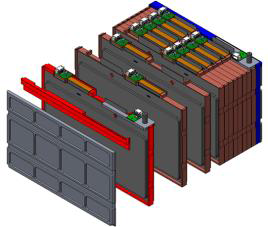 The modular battery system can either be a single or a dual system. 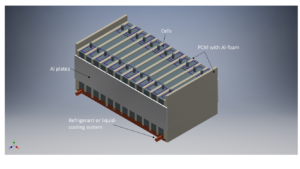 In both cases the system will have fast-charge capability due to improved thermal management system: enhanced cooling. The system will enable the reduction of integration costs as well as the assembly times. Two demonstrators will be done for the single battery system: a plug-in electric vehicle and an electric bus. Further, the dual battery system will be bench tested. Demonstration of GHOST solutions in two demonstrators (BEV bus with ultrafast partial charge capability and P-HEV) and one lab demonstrator (module level) for the post Lithium-Ion technology. The GHOST project has an interdisciplinary approach which includes: thermodynamics, modelling and simulation, materials, design, welding, soldering and sealing, fluid dynamics, business and economics. The project activities will be carried out by a thirteen-members consortium belonging to 7 EU member states, representing all requested competencies in the field of Battery Systems, their thermal management, integration and safety for automotive applications, suppliers, engineering and technology organisations and universities.